An important use for Sweet Cicely is to reduce the use of sugar when cooking sweet foods. The leaves and stems are used to reduce sugar use by half. It has a taste reminiscent of anise. The plant is a hardy perennial which prefers a deep well drained soil but will tolerate harder conditions. Plants with a fern-like leaves may grow to 2m in ideal conditions. Originating from mountainous areas from southern Europe to the Caucasus region. Traditionally eaten raw or cooked and with medicinal uses. 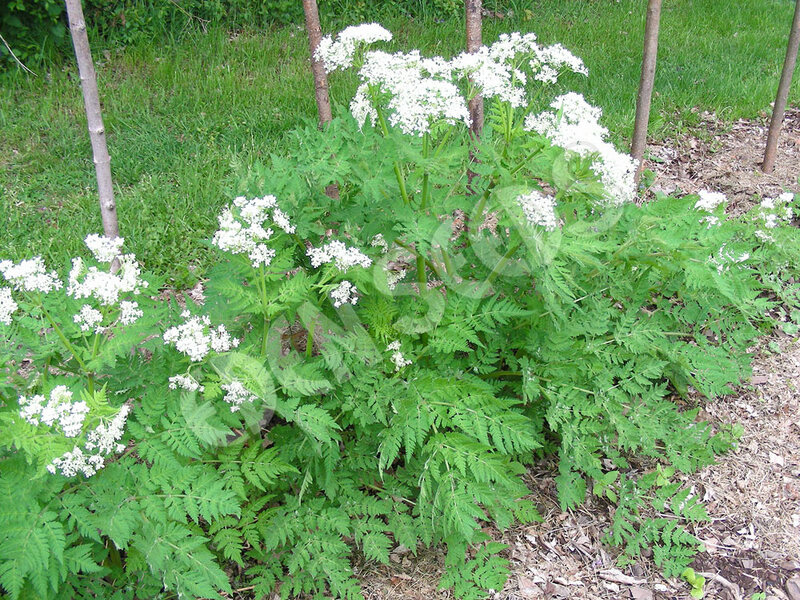 When buying Sweet Cicely seed online from Eden Seeds the best way to get better germination is to place the seed in damp sand inside a sealed container or a planting tray, then keep in the refrigerator for eight weeks. Then plant them in potting mix in spring and place in a warm position. Partial shade is preferred. Propagation by division may be done in spring. Sugar saver, anise scented leaves and stalks. Use fresh or dried in sweets and desserts to halve sugar use. Delightful flavour. Seed must be cold and moist to germinate. Its easiest to sow seeds in a soil mix and then enclose the seed tray in a plastic bag in the fridge for eight weeks, then into a sunny spot.